Need a hard hitting, deeply penetrating hunting load for your .44 Remington Magnum? Littlestone Ammunition's high velocity loading of Hornady's 300-grain XTP bullet will get it done for you. 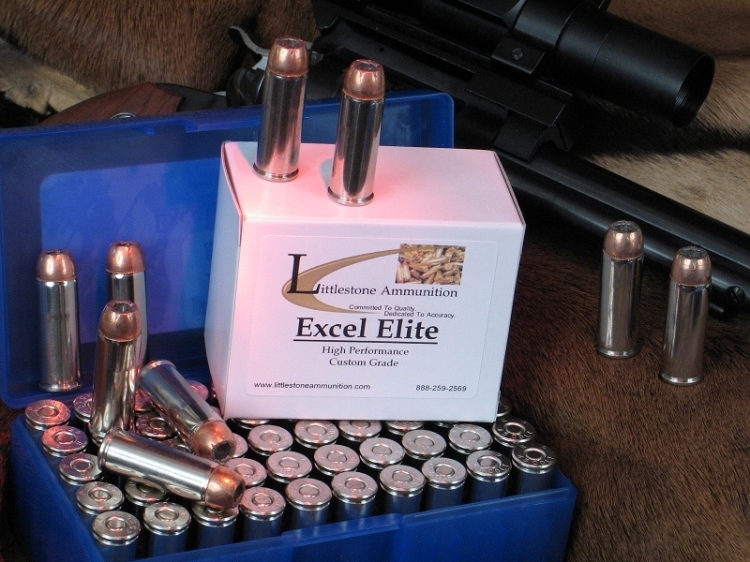 This 20-round box features 300-grain bullets with a muzzle velocity of 1,300 fps and 1,126 foot pounds of energy. Finding that load can be expensive if you have to buy a full box of 20 or 50 rounds for every type you want to try. Which is why we developed our sample pack system. With one purchase of 20 or 50 rounds, you can test either two, four or five different loads, helping you find ammo that meets all your needs much more economically. Feature 3: MV / Energy / Barrel: 1,300 fps / 1,126 ft lbs / 7.5"